The water or hydropower is an important renewable energy source based on the natural water cycle which nature has given to us free of cost. Hydropower is the most mature, reliable and cost-effective renewable power generation technology available and is capable of responding to demand fluctuations in minutes. 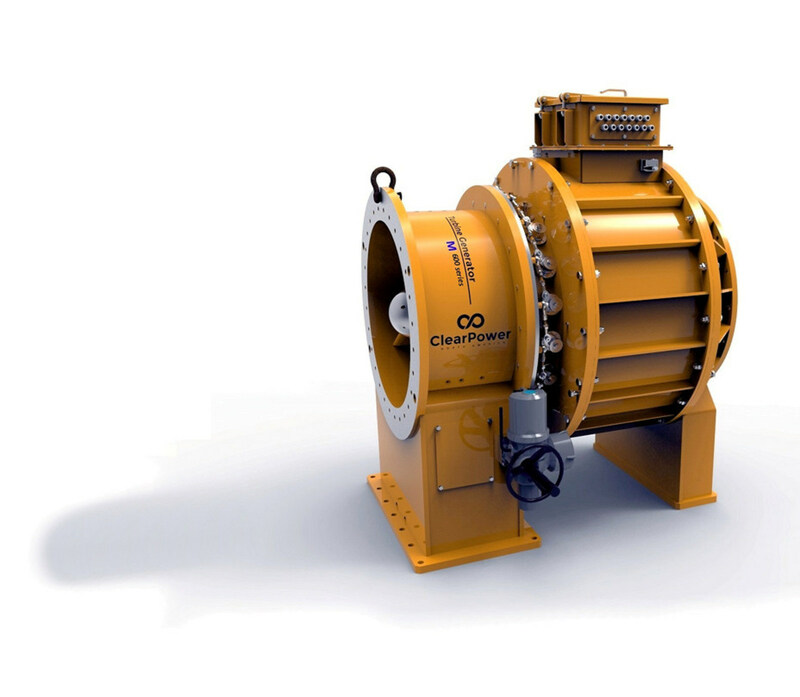 A Colorado based ClearPower North America has now unveiled a new Straflo design Industrial Turbine Generator (ITG-M Series) for the mining industry, which can produce over 30 Megawatts of Off-Grid power at half the price of present options available in the market. Water pressure is energy, and by using the pressure and flow created by gravity found in places like common water pipes to spin the fan, it transforms the simple water pipe into a generator. The flowing water becomes the motor to spin the fan, and the magnets in the motor once used to motorize the fan, are now the generator of electricity. ClearPower's services can be used in a variety of manufacturing settings that use a high volume of water, including paper mills, mining companies, glass makers, chemical refineries, and more. Its patented, axial flow, fixed-blade Kaplan turbine with a direct drive, synchronous, permanent magnetized generator (PMG) to convert water flow into a source of sustainable, renewable and low-cost electricity! The ITG-M generates no carbon emissions while running and the waste heat is absorbed by the water flowing through the machine. It can produce up to 3 MW of electricity per 150 feet of head. All that is needed is a pipe, water flow and pressure to standardize generation of hydroelectric power, typical outputs from low pressure/High Flow range from 100 kW to 3000 kW. Mines that currently use expensive diesel fuels and inefficient generators spend approximately $212 to $281 per megawatt for electricity according to data provided by the Rocky Mountain Institute. At these rates, mines are spending approximately $65 to $100 million annually on energy for the 30 to 50 MW of electricity they need for operations. ITG-M Series is a bolt-on platform that can be installed quickly with potentially no downtime or disruption to operations. It also offers a small footprint that easily becomes part of an existing infrastructure that removes pressure while not affecting flow.